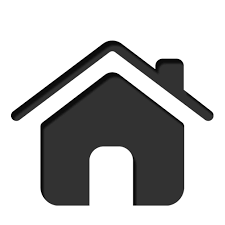 What Does the Solidarity Mean to the Individual Citizen? 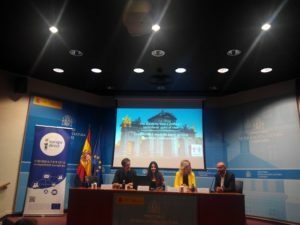 The UNESCO Chair in Bioethics and Human Rights participated in the final event of the EUROSOL project, within the Europe for Citizens Programme, in Madrid on May, 31, 2018. The conference finalized the year-long project, which involved eight countries (Italy, Spain, Lithuania, Bulgaria, Poland, Cyprus, England, and Germany). The scope of the project was not limited to analyzing statistics, data, and the situation of refugees in these countries. EUROSOL also focused on spreading the message of a welcoming Europe. After a welcome by Mr. Pablo José Aledo Martinez, General Director of Altius Francisco de Vitoria Foundation, and the presentation of the EUROSOL project by Ms. Clara Ubeda, Project Coordinator of Altius Francisco de Vitoria Foundation, the first round table discussion began. Throughout the rest of the morning, participants were divided among four round tables discussions, in which they examined different aspects of what solidarity means to the individual citizen. 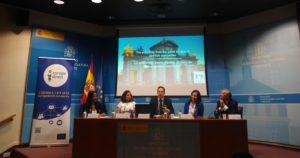 The first round table discussion, entitled “The Solidarity from a Political and Institutional Point of View,” gave an overview of what institutions, such as the city of Madrid, have been doing in Spain. The city founded a school to train volunteers to socially integrate the high number of migrants arriving mostly from Syria and Venezuela. There has been a recent increase in migrant arrivals, which has given fodder to cries such as: “They are invading us, and we’re paying for it! They’re stealing our jobs, we can’t afford that!” and “We should help them in their own countries, where they won’t die at sea!” The human sphere tends to be reduced to a financial issue, as if everything can be solved through money. The second table focused on the topic: “Solidarity from the Point of View of Spanish Companies.” According to a press agent, it is crucial for companies to change how they run their business by creating goods and services within everyone’s reach to remain relevant. Companies have to look beyond their own bottom line and try to find new wide-ranging marketing solutions. 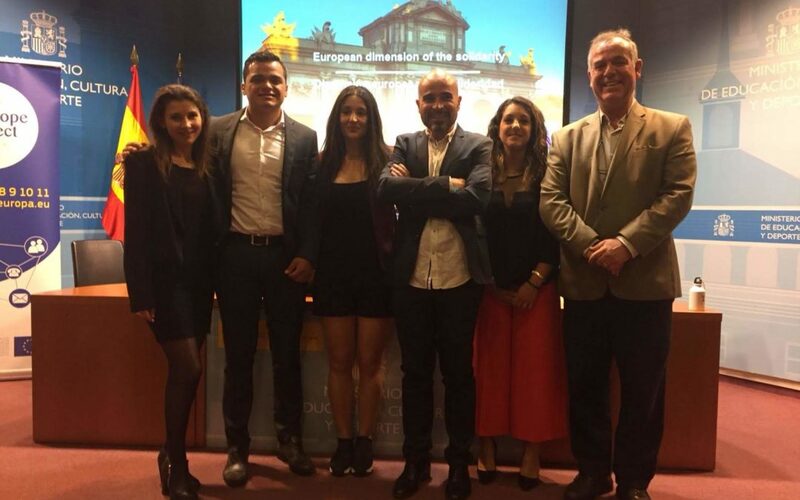 The third round table discussion entitled “Solidarity from the Citizens’ Point of View,” revealed how the Erasmus Plus program of the European Union gives the possibility to young volunteers from the Altius Francisco de Vitoria Foundation to understand the importance of social work and volunteering. Being a volunteer benefits not only those in need of legal, medical, or psychological assistance, but also the volunteers themselves. In other words, volunteers have the chance to increase their capabilities and skills, something important for their future careers. At the same time, they give hope to those who have nothing left. The project’s partners presented their results at the final round table discussion (see the video below). 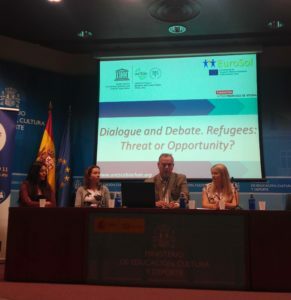 On November 27, 2017, the Chair had organized a public forum in Rome titled “Debate and Dialogue – Refugees Threat or Opportunity?” as part of the EUROSOL project. Experts, students, and volunteers gathered to discuss the real perception of refugees and migrants in Italy and in Rome. The message that the media delivers is often to create walls instead of bridges. An old idea which fosters those negative thoughts to push away the one who is different, who has a different background, culture, or religion. As an UNESCO Chair that fosters the art and convergence in global ethics, we have the duty to spread a message of tolerance and positive inclusion for those who are living in vulnerable situations.